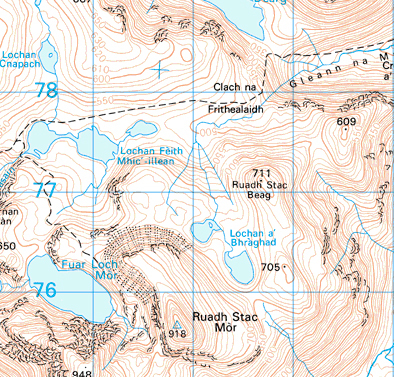 The ‘furthest point’ is in the centre of this map, to the left of Ruadh Stac Beag. What is the furthest point from a tarmaced public road in mainland Britain? There may be other contenders for remoteness, but the Ordnance Survey has determined this point as a peat bog on the western hillside of Ruadh Stac Beag in Wester Ross in Scotland, amongst the burns (‘allt’ in Gaelic) that come from Lochan a Bhraghad. The point is at a height of about 610m (2,000 feet) and the grid reference is NH 0202 7700. It is 10.43 km (6.48 miles) in a straight line from the nearest road, the A832 near the village of Kinlochewe. But up here in the boggy mountainous wilderness of the Fisherfield Forest of Wester Ross, that doesn’t mean very much. 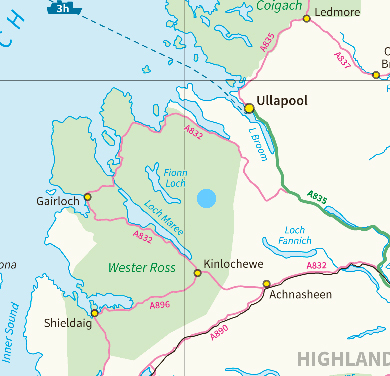 The shortest distance by a path, where there is one, is from Kinlochewe, the nearest settlement, and it is 24.2 km (15 miles). There are a number of deer-season only hunting lodges and abandoned houses, and an out of season bothy, Shenavall, to the north of the ‘furthest point’ near Loch na Sealga and below An Teallach (1,062m), but that is all. There is a nearer settlement at Letterewe on the side of Loch Maree to the south-east, but that is on a private estate. There are no photographs of the location as far as I know but the nearest photograph, below right, is of Lochan a’ Bhraghad, a small lochan close by. For what it’s worth, the ‘furthest point’ is about 500m away over the slight hill on the right side of the picture. Lochan a’ Bhraghad north east of Ruadh Stac Mor. In 2002, the Daily Telegraph sent one of its reporters, Colin Cottell, to this remote spot. 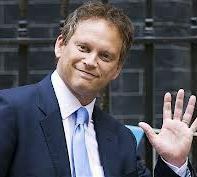 He rang the Ordnance Survey to check before setting out. ‘Less than seven miles? Hardly worth getting out of my sleeping bag for. Or so I imagined’. His report is here. 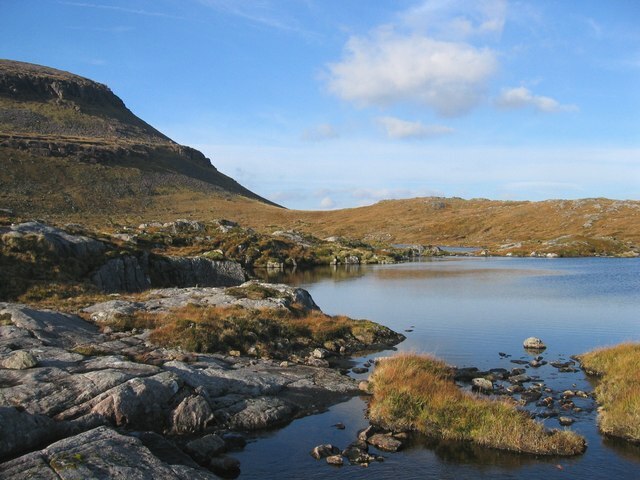 The Fisherfield Forest, and the Dundonnell Forest to the north, is sometimes nicknamed The Great Wilderness because the area is entirely devoid of permanent settlements. Although termed a forest, the area has very few trees, though it was a pine forest 200 years ago. 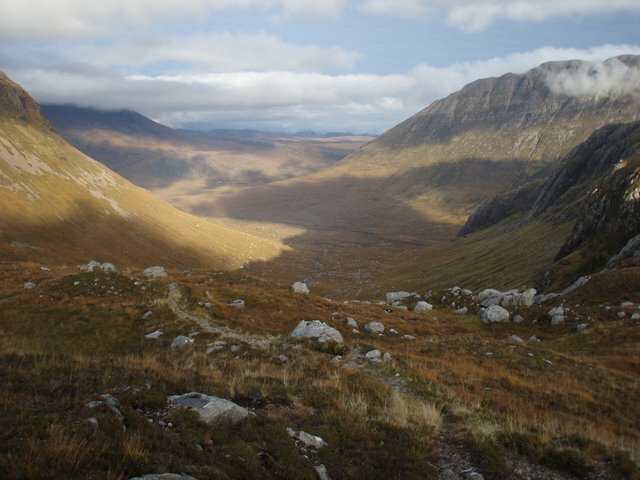 In the midst of the Fisherfield Forest, this is a view down Gleann na Muice Beag to the north of Ruadh Stac Beag and about 1km from the ‘furthest point’. Three estates cover most of the area which is maintained primarily for deer stalking: Dundonnell Estate covers 134 km² in the northwest part of the forest, the Eilean Darach estate covers 262 km² in the northeast, and majority of the area, including all the southern and central sections, forms the 323 km² Letterewe estate. A trial run on the Metropolitan Railway near Paddington station shortly before opening in January 1863. The gentleman with his elbow on the side of the truck in the foreground is W E Gladstone, future Prime Minister but Chancellor of the Exchequer at the time. The London Underground, or the Tube, was the world’s first underground railway. On 9 January 1863, a train puffed out of Paddington (Bishops Road) station* bound for Farringdon, three and a half miles away under the streets of London. The next day the line was opened to the general public. It was an immediate success; almost 40,000 passengers were carried, and long queues formed at every station. The Tube was born and London would never be the same again. The line was built in 33 months using the ‘cut and cover’ method (the tunnels were dug from the surface and then covered again) by the Metropolitan Railway, and cost £1.7m. The Metropolitan was a private company formed in 1854 to link the mainline stations at Paddington, Euston, and King’s Cross with the growing City business district to the east. The line now forms part of the Circle, Hammersmith & City, and Metropolitan lines. 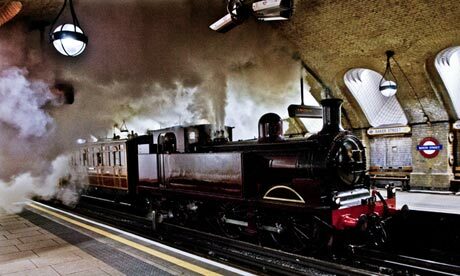 This year, to celebrate the 150th anniversary, London Transport arranged many events starting with re-enactments on Sunday 13 January of the original journey using a 1898 steam locomotive (trains were steam-powered until the first electric locomotive was introduced in 1890) and restored carriages. Unsurprisingly the limited number of seats that were available, £180 first class, £150 second class, were sold out months before the event. The London Underground seems to have a fascination worldwide. As well as a huge variety of gifts, souvenirs and memorabilia on sale at the London Transport Museum shop, there are any number of books, DVDs and websites about the Tube. 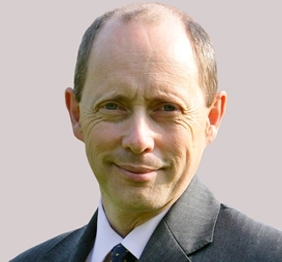 And questions about the Underground, often in the form of cryptic clues, always crop up in pub quizzes. On the anniversary, as if to confirm this interest, the Daily Telegraph ran a feature,150 Fascinating Tube Facts. I’ve selected five of the facts from the list, and added some details (in green) of my own.